Cutout detail creates double nose bridge. For in-store inquiries, use sku #2390848. 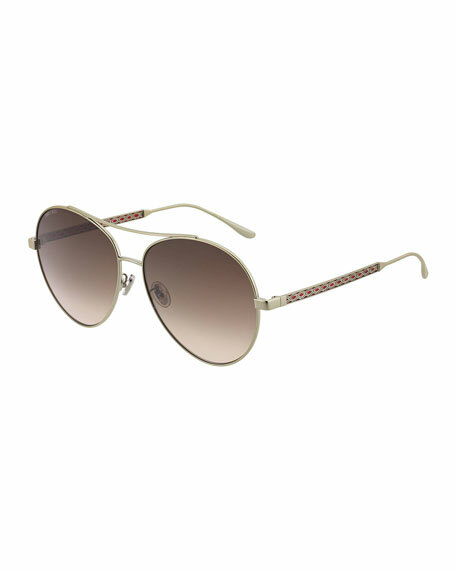 Jimmy Choo "Noria" aviator sunglasses in metal. Lens/bridge/temple (in mm): 61-15-140. Gradient lenses; logo script. Double nose bridge. Adjustable nose pads. Contrast trellis pattern through arms. Can be fitted with prescription lenses. 100% UVA/UVB protection. Made in Italy. 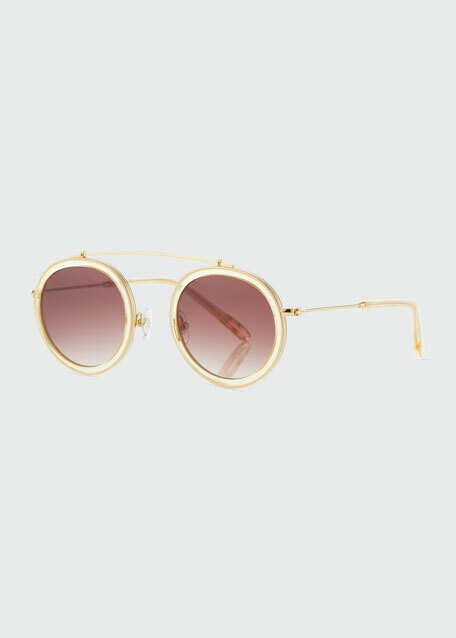 Krewe "Earhart Blinker" aviator sunglasses. Lens/bridge/temple (in mm): 53-21-145. 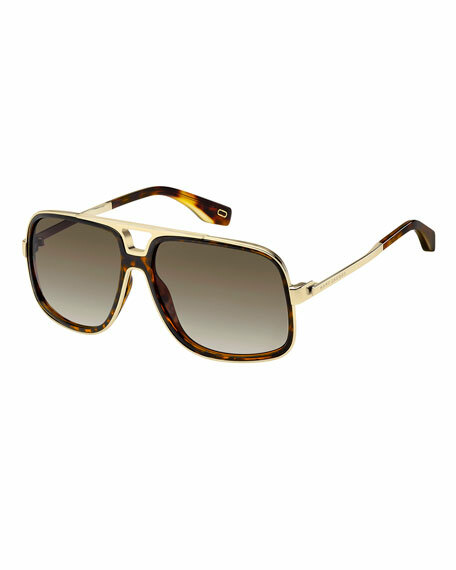 Metal frames with patterned acetate side blinders. Monochromatic, polarized lenses. Double nose bridge with nose pads. Slim arms. 100% UVA/UVB protection. Can be fitted with prescription lenses. Made in Switzerland. 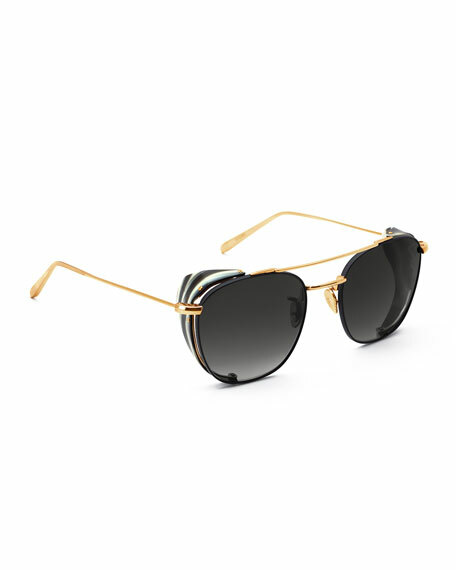 MCM aviator sunglasses in acetate with metal trim. Gradient teardrop lenses; logo script. Open nose bridge with connected frame. Adjustable nose pads. Logo plaque at open temples. Notched arms. 100% UVA/UVB protection. Made in Italy.